Toynbee Tile, Washington DC, 1993 | Flickr - Photo Sharing! 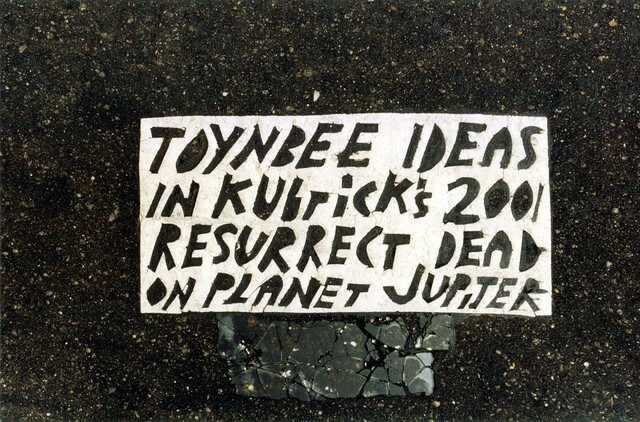 I photographed this Toynbee Tile during a trip to the US in summer 1993. Being a sci-fi fan, this weird text caught my attention. Only recenty I found out that there are several like this one all over America and that other people are trying to uncover the mystery behind them. robert birkenes, y5RZouZwNsH6MI, and 3 other people added this photo to their favorites.